After an intense young activity, early 70s, Roberto Trabucco, begins the first participation in high level competitions with excellent results in the Italian Championships, like individual and like society. In 1978, participates for the first time at the World Championships in Austria getting the 2nd place overall, exploit repeated in 1985 in Florence on the Arno River. 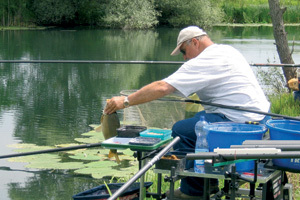 In 1980, he graduated Match Fishing Italian Champion, title will once again 1989 on the Volturno river. Athlete of reference of the Italian National, with Italian Team has achieved many successes:Gold Medal at World nations in 1986 in France, in 1992 in Ireland, in 1993 in Portugal, in 1996 in Italy, Hungary in 1997 and 2000 still in Italy. SILVER Medal in 1978 in Austria, in 1985 in Italy ,in Florence in 1987 ,in Portugal and in Belgium in 1988. BRONZE Medal in 1989 in Bulgaria, in 1990 in Yugoslavia ,in 1991 in Hungary, in 1994 in England, in Croatia in 1998 and 1999 in Spain. Also worldwide, won the 1st place in the individual standings at the World Championships for Clubs in Belgium in 1985. Also obtains other successes like winning the first Italian Championship of English Fishing, and the conquest of many trophies in the Excellence Elite. With its large technical know-how and his great experience, acquired over the waters around Europe during nearly 20 years of presence in the Italian National Fisheries, is able to design and develop innovative products, research on all markets that can offer a standard of quality and competitive price. After an intense young activity, early 70s, Roberto Trabucco, begins the first participation in high level competitions with excellent results in the Italian Championships, like individual and like society. In 1978, participates for the first time at the World Championships in Austria getting the 2nd place overall, exploit repeated in 1985 in Florence on the Arno River. 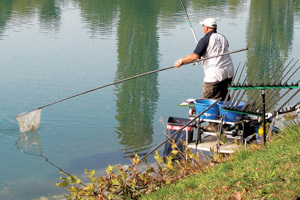 In 1980, he graduated Match Fishing Italian Champion, title will once again 1989 on the Volturno river. 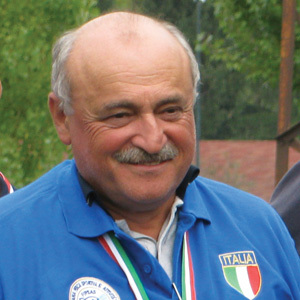 Athlete of reference of the Italian National, with Italian Team has achieved many successes: Gold Medal at World nations in 1986 in France, in 1992 in Ireland, in 1993 in Portugal, in 1996 in Italy, Hungary in 1997 and 2000 still in Italy. SILVER Medal in 1978 in Austria, in 1985 in Italy, in Florence in 1987 ,in Portugal and in Belgium in 1988. BRONZE Medal in 1989 in Bulgaria, in 1990 in Yugoslavia ,in 1991 in Hungary, in 1994 in England, in Croatia in 1998 and 1999 in Spain. Also worldwide, won the 1st place in the individual standings at the World Championships for Clubs in Belgium in 1985. Also obtains other successes like winning the first Italian Championship of English Fishing, and the conquest of many trophies in the Excellence Elite. With its large technical know-how and his great experience, acquired over the waters around Europe during nearly 20 years of presence in the Italian National Fisheries, is able to design and develop innovative products, research on all markets that can offer a standard of quality and competitive price.